The Perfect Online Video Resource For Hypnotherapists or Anyone Studying Hypnosis! We often call this our Platinum Membership site. You can become a lifetime member to see all that is there now and all that will be added in the future. Hundreds of hours of videos and audios that help you with techniques and strategies to improve and perfect your hypnosis skills. Listen to Adam explain in the video and also read below (see drop down link) all about this amazing hypnosis resource. 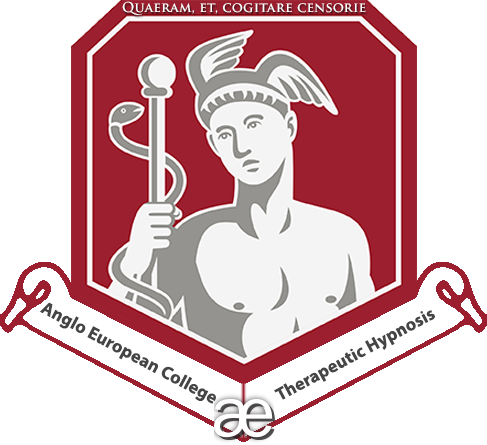 Hours of hypnotherapy tuition videos and hypnosis instructional demonstrations. Hours of techniques and strategies to be a successful hypnotherapist and drive your business powerfully forward in the Business Mentoring area..
First and foremost, with our Platinum Learn Hypnotherapy Online Training Programme, you get many hours of Hypnosis and Hypnotherapy Training video footage filmed during numerous live trainings delivered by Adam. There is currently over 400 hours of video footage available in this learn hypnotherapy membership area and we add to it every single month with additional new material and fresh video footage. As our members experience, we are very busy creating new updated material all the time. I am passionate about the subject and am constantly studying developments in the field. Given that I really enjoy sharing that knowledge, this is another really great reason to get involved here if you are a practicing Hypnotherapist or just interested in studying Hypnosis. Those of you who have studied with me will know that I have a wicked, dry sense of humour and I tend to think that it makes for fun filled studying. All 10 modules of Adam’s monthly hypnotherapy diploma course. All five days of Adam’s cognitive behavioural hypnotherapy certification course. Rapid inductions seminar videos – over 15 inductions demonstrated by Adam and James brown at a London venue. Hypnotic phenomena videos – a range of hypnotic phenomena demonstrated by Adam and James brown at a live Bournemouth seminar. Numerous videos of additional, issue specific lectures Adam and others have delivered at his school. Archived articles and audios from blogs, podcasts and YouTube sources – that are specifically aimed at trained hypnotherapists. Plus: lifetime members get everything that we ever add for no additional fee! As already noted, Adam’s five day cognitive behavioural hypnotherapy certificate has been added. Adam’s lecture on using hypnotherapy to treat insomnia. Adam’s lecture on how to use hypnotherapy with children. Jill Harrington’s lecture on counselling skills for hypnotherapists. Adam’s evidence based hypnotherapy for IBS (Irritable Bowel Syndrome) workshop. Adam’s central London lecture and powerful demonstration on the subject of self-hypnosis. Adam’s lecture on using hypnotherapy to deal with anger issues. Adam and James Brown’s Rapid inductions and hypnotic phenomena seminar – with even more inductions and LOTS of hypnotic phenomena for you to elicit with your clients. Some video clips from the archives, including Adam demonstrating glove anaesthesia, the Dickens pattern, the hypnotic thermostat, and the drop induction. An audio recorded conversation Adam had with a student explaining in detail how he uses the hypnotic Gastric Band process. Adam’s lecture on the use of hypnosis in sports with real-life examples and a wide number of applications. PLUS – ALL CURRENT AND FUTURE ONLINE TRAINING AND SEMINARS FOR HYPNOTHERAPISTS. We want to give you a taste of what is included and this page aims to give you a flavour of what’s inside – though it is incredibly comprehensive and so hard to give an equally comprehensive account in a single web page such as this – therefore, if you have questions or queries about it, get in touch with us and we’ll answer as thoroughly and as rapidly as possible. There are sections of this membership area that are devoted to theory and the historical development of this field including an analysis of the precursors and the history of hypnosis. There is a focus upon the hotly debated ‘state vs nonstate’ discussions and we examine a very wide range of theories and approaches to the field clinical hypnosis (we cover neo dissociative theories, psychodynamic theories, expectancy theories, compliance theories, sociocogntive theories, scientific theories and much more besides). As well as examining the traditional notion of the use of hypnosis with psychosis and neuroses, we evaluate thoughts and stances on the contraindications of hypnosis and hypnotherapy and of course, we highlight the indications – areas of high efficacy for clinical hypnosis, according to research. We examine hypnosis as a phenomena, look at factors influencing hypnotisability, examine the notion of depth and evaluate scales used for examining levels of hypnosis depth as well as looking at hypnosis and brainwave activity. This leads us nicely onto to assessing what fMRI, EEG and PET scan technology has been able to tell us about hypnosis and it’s effects upon the brain. As much as is possible throughout all the trainings we deliver and at the heart of most of the material within this programme, is an ongoing attempt to adhere to the evidence-base of this field. The field of hypnotherapy boats a much more impressive evidence base than most people realise (though we’d like it to be more impressive and substantial!). We offer up ways of using the evidence and point out if something lacks evidence. Being a healthy skeptic is championed by Adam throughout his trainings and he lectures on and extols the virtues of critical thinking when it comes to therapy, our approach to therapy, and our lives in general. If students of this school go on to have a thriving, successful career, it reflects well upon this school and the field of hypnotherapy in general. For that reason, we include lots of material within this membership site that shows you how to conduct a highly professional and credible career. We examine how to best set up your working environment, how to be perceived as credible even when just starting out as a therapist and look at how to use that credibility and professionalism to have more conventional medical agencies refer you clients. As you’d expect, a number of core, fundamental but incredibly important core skills for any therapist are included. We have video footage of modules focusing on classic counseling skills which are taught and evaluated. Skills and theories on developing a therapeutic working alliance are examined (from Bordin’s original theories to more modern proponents and research findings). There is plenty of focus upon information gathering processes as well as an examination of various standardised assessment techniques and protocols from varying fields such as those used in CBT, MMT, NLP and other therapeutic modalities too. We look at classic mental state examination, mood measuring protocols and a variety of other ways of assessing a client’s well-being and ensure we are equipped well enough to make quality decisions on our treatment plan for our clients going forward. We examine a variety of ways to constructs a basic hypnotherapy session and look at ways of agenda setting, goal-setting, conceptualising hypnosis to clients, innoculating against objections or resistance, educating clients, creating correct expectancy, establishing ways of measuring therapeutic outcomes and agreeing upon a treatment plan with your client. At assessment time, we also look at the processes of teaching clients hypnotic skills, the usefulness of susceptibility scales and suggestibility tests too. Whilst looking at assessment techniques and options, we also look at a wide variety of ways to use questioning. We examine basic open and closed questioning techniques, cartesian logic questions as well as more therapeutic styles of questioning such as socratic questioning techniques and NLP’s meta model questions. We equip students with the ability to identify the types of information that is elicited from differing types of questions used in assessment, and assess the viability and usefulness of information that the client shares. Other core skills may not seem all that exciting, but we do our best to make them as appealiing as possible. We examine a number of standardised reflective practice processes (something all therapists should engage in to ensure they are aware of the effectiveness of what they are doing), approaches to supervision and various models of supervision, continued professional development and how to use it for the most benefit to you and your clients. As well as two full hypnotherapy diploma course video recordings and all the inductions, deepeners and hypnotic phenomena demonstrated in there, we also have two additional seminars delivered by Adam and award-winning Magician and hypnotist James Brown demonstrating many, many inductions for use in a therapeutic environment as well as a wide range of applications for hypnotic skills for your clients to learn. It includes a wide array of hypnotic phenomena (catalepsy, analgesia, amnesia, hand stick, pen stick, foot stick, jumping pulse and much more) …. Inductions include – eye fixation, magnetic hands, eye catalepsy, eye lock, breathing inductions, rapid inductions, arm lowering, pattern interrupt inductions, rubber band induction, spinning hands, coin drop induction, hand drop, 8 word induction, somatic awareness induction, direct gaze induction, as well as numerous inductions only ever seen by members of the audience at James’ shows or clients in Adam’s therapy rooms. This footage is also advanced with the addition of key principles and rationale which sits behind the use of inductions. Each induction is explained and illustrated with a full demonstration of each one. Additionally, there are a wide range of other hypnotic skills. We examine the signs of hypnosis and give you a wide array of ways to prove to a client they are (and have been) hypnotised – we are amazed at how many people say they went to see a hypnotherapist and although it was relaxing, they were not sure if they were definitely hypnotised! With these skills, your clients will never think such a thing. We look at the CBH notion of hypnotic skills training and expand upon some of Emile Coué’s mental imagery skills. Whilst at it, we look at the science and art of suggestion; classic rules of suggestion and hypnotic principles, the types of and varying forms of suggestion. Importantly, we also look at how to deal with resistance and the differing forms it can take. The evidence for the use of mindfulness, how to use it and some specific applications – as well as other awareness experiments from the field of Gestalt therapy, and it’s use in identifying cognitive distortions. A variety of approaches to relaxation therapy (including demonstrations of how hypnosis advances relaxation) and the use of hypnotic desensitisation in the treatment of fears and anxiety disorders. Exposure therapy and various applications of it. Cognitive hypnotherapy. As pioneered by Beck and Ellis. We include the cognitive mood induction, the use of thought forms, thought disputation, identifying and updating negative cognition’s and how to teach clients the use of Socratic questioning techniques with their own cognitions. We also examine a variety of models for cognition that are prominent within the literature. The highly evidence based approach of problem solving therapy: how to use it as a stand alone approach, how to use it in a wider, overriding fashion to design your entire treatment plan and we examine the evidence for it and what the evidence tells us about how to best employ it in therapy. Assertiveness training. We examine the evidence and how to employ a number of standardised protocols for it’s use in therapy. Habit Reversal – one of the most evidence based techniques in dealing with unwanted habits. Mental Imagery Techniques – a wide variety of CBH mental imagery techniques are demonstrated and discussed from a variety of authors. Rational Emotive Behaviour Therapy – we also look at this related field. We include the use of role play in therapy and role reversal exercises as well as further cognitive updating skills. Self-Hypnosis and Hypnotic Skills Training: Full footage of Adam’s ‘Science of Self-Hypnosis seminar is included within the programme. It shows a very evidence-based approach to teaching yourself and clients self-hypnosis skills – which are proven to advance hypnotisability and responsiveness and ought to be skills that every hypnotherapist has. There is full video footage of a complete NLP practitioner and Master level training too. This includes a massive array of stuff with mega jargonised titles that anyone new to the field will be baffled to read about, including: Presupposition of NLP And Well Formed Outcomes, NLP’s Sub-modalities, The Godiva Chocolate Pattern, Swish Patterns – A Variety of Means and Methods, Guidelines For Setting Anchors, Collapsing/Integrating Anchors, Values, Values Elicitation Exercises, Hierarchy of Values, Values Audit, Anti Values – What they are and how to use them, Chunking, The Meta Model, Distortions, Nominalisations, Mind Reading, Cause & Effect and Complex Equivalence, Presuppositions, Challenging Beliefs, Generalisations, Model Operators, Lost Performative, Deletions, Lack of Referential Index, Unspecified Verb, Meta Programmes, In depth analysis of the work of Milton Erickson and The Milton Model, Lack of Referential Index, Tag Questions, Pacing Current Experience and Leading Statements, Presuppositions, Subordinate Clause of Time, Ordinal Numerals, Awareness Predicates, Adverbs & Adjectives, Stacking Presuppositions, Conversational Postulates, Extended Quotes, Embedded Commands, Perceptual Positions, State Management & Elicitation, Use of Stories and Metaphors In Therapy, Embedding a Metaphor into Hypnosis, Re-framing, As If Frame, Dissociative Frames, Fast Phobia Cure, Timeline Therapy, Identifying Limiting Beliefs, Updating Limiting Beliefs, The Visual Squash, Practical Introduction to Limiting Beliefs, Dickens Pattern, Behavioural Flexibility, SCORE Model, Using SCORE With Teams and Dancing SCORE Pattern, Archetypes In Therapy, Exploring Archetypes, Archetype of Transformation, Creating The Archetype Story, Tracking Transitions, Identity Matrix… Every single one of these things is covered and taught within this membership site. If you want to know what any of it means, send us an email! We also cover a variety of better known and popular, traditional approaches to hypnotherapy. That includes teaching how to use a variety of regression therapy techniques (affect bridge, age regression, calendar years regression), inner child work, hypnoanalysis and more psychodynamic approaches to therapy. Often related to those approaches to therapy and with similar proponents authoring on the subjects, we also look at parts therapy (formalised protocols for it as well as NLP’s six step reframe with parts therapy) and approaches to it. This includes other therapeutic applications such as the Gestalt empty chair, for example. There are many aspects of conventional hypnotherapy that lack evidence and the processes. Something lacking from most hypnotherapy trainings is an evaluation of the evidence base of what is being taught. A main ethos of this school is being able to see both sides of any debate, philosophy, stance or theory (you can read this article for Adam’s thoughts on this) so throughout all the videos, you are given the academic critique and appraisal of research on the subjects taught. Therefore, as well as teaching some traditional approaches to therapy such as psychodynamic and regression procedures, we also give them a strong evidence-based critique – we look at issues of retraumatisation, false memory syndrome, the notions that hypnosis does not guarantee veracity of memory, informed consent issues and much more besides. Weight Reduction – including analysis of evidence base, examining the real sphere of competence for a hypnotherapist, a very wide variety of techniques for use with this application of hypnosis. Stop Smoking – look at the very real picture of what the research says and how to use the research to advance the efficacy of our treatments. Very wide array of differing techniques to use with stop smoking clients as well as a full methodology given that Adam uses with his clients. Self-Esteem – how hypnosis is used to build, develop and heighten self-esteem and confidence related issues. Lots of demonstrations of techniques for this application of hypnosis. Pain Management – examination of the evidence and discussion of what the evidence can tell us about how to use hypnosis for pain management and alleviation. Looking at a number of interventions to deal with different kinds of pain. How to conduct a correct assessment for dealing with pain clients. Looking at key ingredients of pain and discussion of common themes. We look at the role of placebo in detail (as is done to a lesser extent in many other facets of this programme) and includes practical demonstrations of impressive applications – including anaesthesia. Treating Depression – again, the evidence is examined and a number of key issues are explored. We look at categorisation of the medical profession, what the research and statistics tell us about depression, the symptoms and manifestation of depression. You are given a range of structured sessions for dealing with depression. We look at contributions of key authors to this application of hypnosis including Assen Alladin and Michael Yapko. Irritable Bowel Syndrome – one of the areas cited as being supported by empirical evidence. We show that evidence, discuss it and look at a variety of ways to deal with IBS using hypnosis. Hypnotherapy with Children – evidence is looked at, we also examine the differing ways to use hypnosis with children. Includes a range of new inductions to use, ways to deal with children in the therapy room, how to make therapy most effective for a variety of age groups as well as ways of making your treatment plans child-friendly. Sports Hypnosis – Adam’s major contribution to the field of running and self-hypnosis has meant that world champion sports stars and world record holders have used his work to advance their performance. He references them and uses his own multi-marathon running experiences while also offering up a range of applications for hypnosis top sports people. Motivation – including a wide range of motivational strategies to use in therapy sessions and for clients needing it in areas of their lives. Anger – we dispute and challenge traditional models of ventilationist approaches to anger. We look at the evidence and how we can interpret that evidence to use hypnosis most effectively in this area. Health science is also examined in this topic as we look at the impact of anger upon the body. Insomnia – as well as our usual examination of evidence, we offer a very wide range of strategies designed at getting to sleep, sleeping for longer and getting back to sleep if disturbed. We also look at other therapeutic modalities’ approaches and examine classic sleep hygiene strategies too. Much More – we also examine applications of hypnosis in dealing with anxiety, stress and a range of other issues in a very comprehensive fashion. We also look at a number of techniques and strategies that do lack direct evidence but do have underpinnings or leanings that fit well with evidence based principles as well as techniques used with a lot of success by prominent therapists and authors. There are too many techniques and strategies to mention, but you’ll be delighted to discover them punctuating the video footage. There is so much more than just what is listed here though, each video has all manner of additional techniques, strategies and things you can learn. This is all supplemented by further written explanations, a manual and accompanying articles to read and explore. Yes, you can use the platinum area on as many devices as you like. It is simply a responsive webpage that will work on mobile phone, tablets and computers. You can cancel your subscription at anytime for the monthly subscriptions and you will be taken off the membership area. Can I download the Audios and Videos? Yes, you can download the audios and videos to view in places where you haven’t got internet.